It could almost have been planned. This week, two stories, one fictional, one frighteningly real, plus a road trip to the North, have conspired to set the mind whirring on the subjects of victims, forgiveness and redemption. The fiction, BBC2’s four-parter, The Victim, was quite simply one of the best bits of telly this year – and what with Phoebe Waller-Bridge’s second series of Fleabag also airing, it’s a strong field. 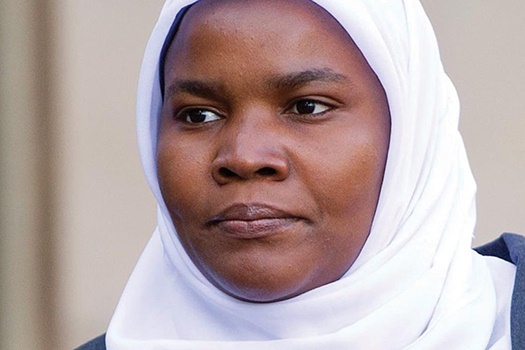 The real-life story concerns doctor Hadiza Bawa-Garba’s reinstatement to practice after being convicted and struck off. The Northern road trip involved a tour of Fleetwood, Lancashire which is slowly but surely healing itself. The Victim – without doing a spoiler – is about a mother’s anguish at the death of her young son who was brutally and randomly murdered by a teenage boy. The murderer, since being released, is living under an assumed name. The murdered boy’s mother, driven mad by grief, has been trying to track down the real identity of the killer. The drama unfolds as she thinks she’s finally found him. She posts the “killer’s” identity on social media and a man, living with his wife and daughter, is subsequently severely beaten up by vigilantes. He denies he’s the child’s killer. Yet, we see glimpses of his clearly violent and dysfunctional childhood. Is he the man he says he isn’t? The drama brilliantly takes us from firmly believing he is, then not, then back again….the sub-plot being about who is the real victim of the original crime. Was it the murdered child? The mother and her family? Or the troubled killer? And in who’s gift is it to forgive or ask for forgiveness? Further dissection here would be impossible without ruining the plot but many of the same ethical questions were raised this week with the details emerging of Dr Bawa-Garba’s case. The best article on the whole sorry saga can be found here. Dr Bawa-Garba, along with another nurse, was convicted of the manslaughter of a six year old child, Jack Adcock, in Leicester hospital in 2011. Reading about the events, it’s like revisiting the horror that was Mid-Staffs – which has become a by-word for poor and negligent care provided by the NHS. Bawa-Garba, a trainee paediatrician, failed to notice the little boy’s sepsis and he died shortly after arriving in hospital. The story is a grim reminder of the daily challenges and dangers faced by both clinicians – none of whom set out to do anything but good – as well as the patients they have to treat. The disastrous chain of events which led up to the boy’s death are depressingly familiar. The hospital department was short staffed. It meant standard procedures and protocols didn’t really work and Bawa-Garba was not supervised as she should have been. The computer system broke down. And so on and so on. For the most part, the medical profession has sided with Dr Bawa-Garba in the full knowledge that what happened to her could happen to any of them on any given day, and that she was the victim of an increasingly creaky system. Jack Adcock’s mother has taken a more strident view, blaming Bawa-Garba unreservedly and criticising the decision of the Appeal Court to overrule her manslaughter charge. As a neutral observer whose heart isn’t aching with the loss of a child, or one of my patients, it’s hard to know who is the real victim here – or whether Mrs Adcock would, could or should ever find it in herself to forgive. The culprit is somewhat easier to identify. It was the system what dunnit. And so to the Northern trip to the former thriving fishing port of Fleetwood, now home to Lofthouse’s, manufacturers of the tongue-numbing lozenge. It would be easy to portray many of the town’s residents as victims. They’ve had more than their fair share of body blows since the fishing fleet was holed below the waterline in the 1970’s. Like many towns of its ilk, Fleetwood is a microcosm of UK society, albeit an officially deprived one. Mental and physical health are generally much poorer in post-industrial towns and people can all too soon become hopeless (literally) victims – of crime, self-harm, drug and alcohol abuse and associated physical ills. In Fleetwood however, redemption lurks. The town is one of the first Primary Care Home (aka PCNs) sites in which health, care and social services are all joined up – which is steadily leading to more appropriate, faster treatment and, here’s a novelty, taking a preventative approach. Healthier Fleetwood espouses the adage that if you act like a victim, you’ll get treated as one. Dr Mark Spencer who is largely the architect of the scheme says that helping people isn’t always about chucking money at a problem, or having things done to people. The key lies in facilitating people to help themselves – the first step being to get them out of their victim-like existence to meet other people like them. The rest surely follows as I witnessed several formerly reclusive people gathering for a Healthier Fleetwood meeting to discuss various communal projects that have, in certain cases, literally saved their lives. It was an uplifting experience. Yes. Just part of another ordinary week overflowing with victims, forgiveness and redemption.